The latest research on the gut microbiome, the bacteria that lives in the gut, confirms what Kathie Madonna Swift has known for years: when we eat in a way that soothes our digestive problems, we address weight issues at the same time. A leading holistic dietitian/nutritionist, Swift noticed that women who want to lose weight generally suffer from a host of annoying digestive issues—and seemingly unrelated ailments such as joint pain and troublesome skin. Changing their gut bacteria by changing their diet, Swift has helped thousands of women lose weight without going hungry. 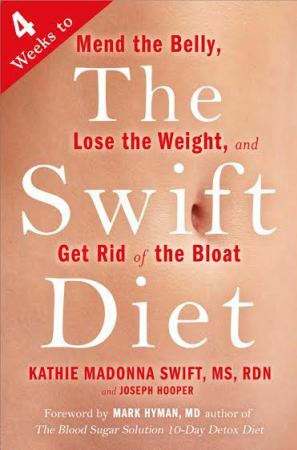 In The Swift Diet, she shares the meal plans, recipes, and lifestyle changes that will help readers shed those stubborn pounds—and improve their overall health.